We've had a lot of customers ask about how many nights we spend on the boat and what a day of fishing is like. Here's a rundown of our last day on the water. 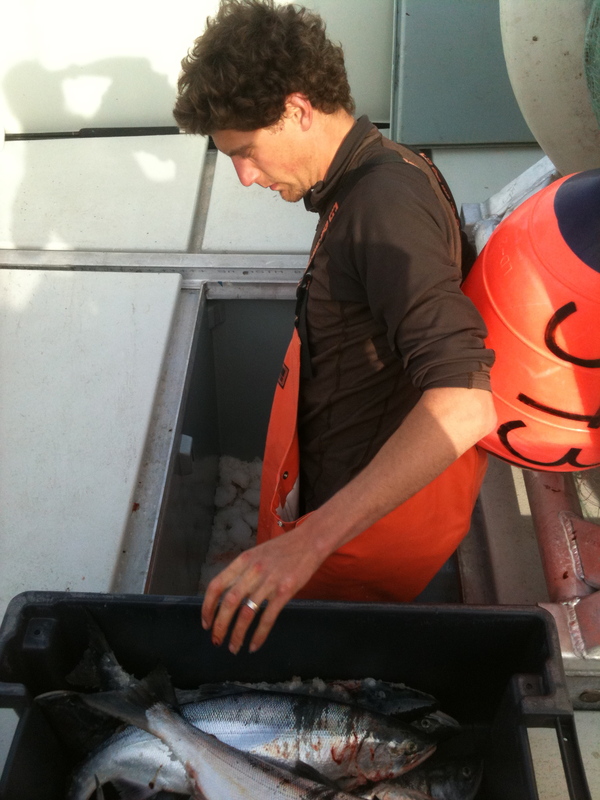 7:00pm- Arrive at the boat to complete last minute chores and haul ice down to the boat. 9:00pm- Put in ear plugs and hope to get some sleep. 2:30am- Wake up and leave the Homer Harbor. 3:00-5:00am- Emily drives the boat out of Kachemak Bay and up North into Cook Inlet. 5:00-6:59am- Kyle takes over and continues North making his best decision of where to begin fishing. 7:00am- The net goes out! 7:00am-7:00pm- Fishing, fishing, fishing! This involves looking for 'jumpers' (salmon literally jumping out of the water), listening to the radio to hear if anyone in our radio group has found fish elsewhere, running our boat up and down the length of the net to encourage fish to hit the net, whooping and hollering when fish do hit the net, pulling the net off and on the boat as needed, picking fish out of the net, bleeding, icing and taking good care of the day's catch. 7:00pm- Make sure to have your buoy out of the water to avoid large fines from Fish and Game. 7:00pm-12am- Motor our way back home, sometimes bucking the tide and hopefully moving slower because of a nice load of fish on board. 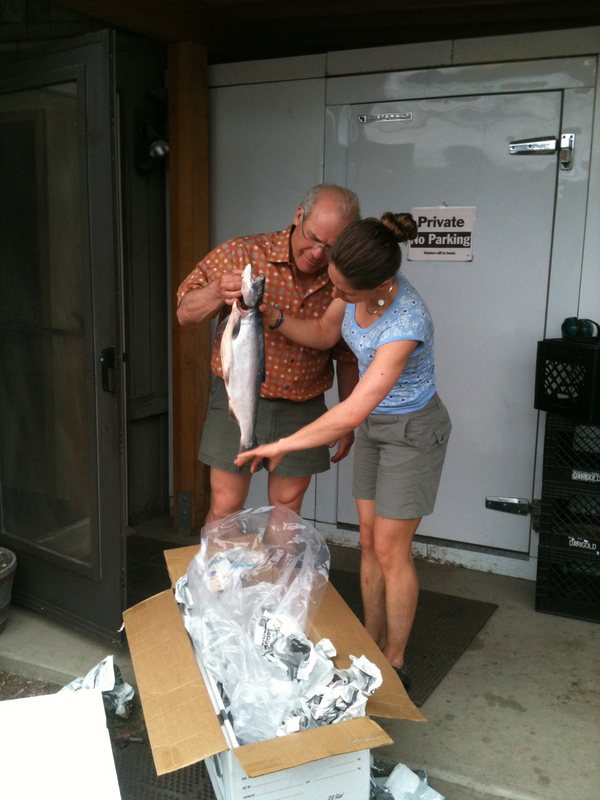 12:00-2:00am- Deliver our fish, which involves sorting out the different species and loading them into fish totes. Clean out the fish holds and the back deck. 3:00am- Back at the yurt and ready for bed! If there are things you want to know about our fishy business just ask! We plan on heading out Sunday evening for another fish-filled adventure.